. : 2016 Season Results :. 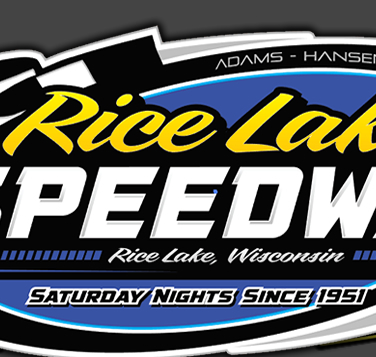 Rice Lake WI, June 7 – A special Tuesday night of racing at the Rice Lake Speedway saw two new feature winners and three winners return to victory lane. Cody Kummer fought off the challenges of Jimmy Randall and Jay Kesan to win his first Street Stock main event of the season at Rice Lake while Nick Oreskovich was very impressive in tracking down Shane Kisling for his second Super Stock win at Rice Lake in 2016. George Richards is on fire right now as he won his third straight Pure Stock feature win while Michael Truscott led all the way to beat back a big field of Midwest Modifieds. Finally, the “Hermantown Hammer”, Darrell Nelson, dropped in Tuesday with his Modified and went home with a feature win. With ninety six cars signed in to race for the Aquafest midweek special and the entire tri-state area represented, the racing action was intense in all five main events. The Pure Stock feature was the first on the track for the night and a seven car battle raged for most of the main event. Tucker Quinn started on the pole and he led a number of laps, being challenged on the high side by James Clausen and Dustin Doughty with Jason Havel, Mike Grover, Joel Hinrichs and Richards all racing in a pack together. Near the halfway point, things got a little tight going into turn three among the leaders and a multi car crash occurred that eliminated Quinn and Doughty, both with flat tires. Clausen inherited the lead for the green but he had Havel to his high side and when the green reappeared, Havel made his move. Clausen also edged up the track and this opened the door on the inside to Richards, who had started ninth on the grid. George shot into the lead with Havel then chasing him. The last few laps saw Havel close up on Richards but George held his line and came home the winner by a car length over Havel. Hinrichs finished a solid third with Clausen and Grover next in line. Richards started ninth because of a track rule that requires any Pure Stock who wins two features in a row to start no better than ninth. He will now return to that starting position when next the track races, having now won his third in a row. Truscott redrew the pole for the Midwest Modified feature and there was no stopping him Tuesday as he overpowered a strong field of cars. The race got off to a slow start as outside pole sitter Austin Ellis only made it to the first corner before he lost power and triggered the yellow. Truscott again pulled away under the green as Curt Myers tried to stay with him while Nick Koehler and Shane Halopka battled right behind them. One more spin on lap seven bunched the field again but Truscott had all the answers on this night as with all the region's top runners right behind him, he pulled away without a problem. Myers continued to try and stay with him while Koehler, Joe Chaplin Jr and Ryan Viltz all tried at various times to work the high side and move up through the heavy traffic. With the rest of the race staying under the green, Truscott maintained his edge as he drove on for his second Rice Lake win of 2016. Myers finished a solid second and was trailed by Koehler, Halopka and Chaplin Jr.
Kummer held off a couple of serious challenges to win his first Street Stock feature of the year. While Kummer redrew the pole, his run to the checkered was a tough one with both Jay Kesan and Jimmy Randall pushing him to the limit. While Kummer held down the top spot early, Kesan and Randall raced side by side for second with neither giving an inch. First Kesan got the upper hand and he pulled in to challenge Kummer for the lead. Following a restart for a spin, Randall took over second spot and followed Kummer closely as Kori Richter, making his first appearance of 2016 along with Danny Richards starting to move into contention. Randall found a hole on the inside and got beside Kummer as they raced for the lead. It appeared that Randall was going to take over the top spot but Kummer moved up the track slightly and made the new line stick as he raced door to door with Randall and then fought off Jimmy to maintain the top spot. After another yellow that bunched the field, Randall took another shot at the leader when, suddenly, on lap twelve both he and Kevin Bogdanovic pulled up lame at the same time, triggering one last slowdown. Now it was Kesan's turn to give it one last shot and he pulled up beside Kummer in the last two laps, and he nearly pulled off the pass on the last lap. However, Kummer maintained his line, fought off Kesan's last corner charge and took his first win of the year at Rice Lake. Kesan finished a very strong second while Richards came from the fourth row for third and was trailed by Richter and Kolby Kiehl, who raced in the top five throughout the event. Oreskovich has been very impressive in his limited starts at Rice Lake this year and Tuesday night he became the third and final leader of a hotly contested Super Stock main event. Terran Spacek and Shane Kisling raced hard for the lead on the opening lap with Kisling taking down the top spot. However, in just a couple of laps Kisling was being pressured for the lead by Bart Steffen who was running strong right on the tires. Steffen continued his charge and took over the lead as Kisling fought to hold on to second from a charge by Aaron Wilson, Eric Olson and an on the move Oreskovich. Following a spin on lap seven that triggered the yellow, Kisling got on the hammer hard on the high side and retook the lead from Steffen who then settled back into second. Olson and Oreskovich continued their charge with Oreskovich working his way into third. With five laps to go, the yellow once again flew for a stalled car, bunching up the pack. On the green, Oreskovich took off like a shot and drove around Kisling to take over the lead and once in front, he started to stretch his advantage. Kisling was struggling as his car had lost its grip and Steffen drove back into second with Olson driving into third. Oreskovich, who left Rice Lake for his regular Saturday night track as the point leader here, continued his charge as he pulled away in the late laps to take his second win of the year at Rice Lake. Steffen raced to a very strong second place finish ahead of Olson. Jeff Klopstein Jr made a huge charge, coming from fifteenth on the grid to edge out Kisling for fourth with Shane fighting off Shawn McFadden by inches to claim a top five spot. The combination of a good draw and a fast race car was more than the rest of the field could overcome as Darrell Nelson, visiting for the first time in 2016, led all the way for the Modified feature win. Nelson quickly put distance on the field in the early going while a good three car battle for second between Cory Mahder, Kevin Adams and Ashley Anderson took place. Those three jockeyed for the position for a number of laps with them swapped back and forth the positions before Adams settled into second. He then tried to track down Nelson who had built up a nice lead. A lone spin with seven laps to go bunched the field but Nelson was not in the giving mood as he immediately pulled away from the field once again. Anderson used the top side of the track to get a good run and slip into second ahead of Adams. While Nelson was long gone for his initial win here since last season, Anderson and Adams fought for second with Ashley maintaining the spot to the finish and Jake Hartung crept in on the late laps to make it a three car battle. Matt Leer rounded out the top five. There will be no racing at the speedway on this coming Saturday, June 11th. 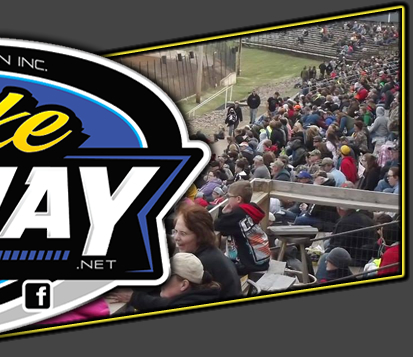 Racing will return to the track on Saturday, June 18th with another big event. 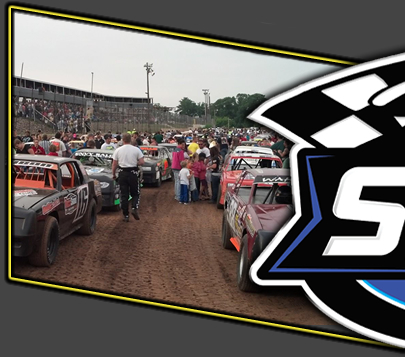 On that night, the AFCO Race of Champions qualifiers will be held for the WISSOTA sanctioned classes with the winners guaranteed a starting spot in the various Race of Champions events to be held during the WISSOTA 100 in September at the Dakota State Fair Speedway in Huron. Warmups are scheduled for 6:30 p.m on the 18th, with racing to follow. All five divisions will be in action.